MainAll NewsUS & CanadaDid Obama control timing of anti-Israel UN resolution? Obama administration official says White House effectively backed anti-Israel resolution, pushed it off until after 2016 election. 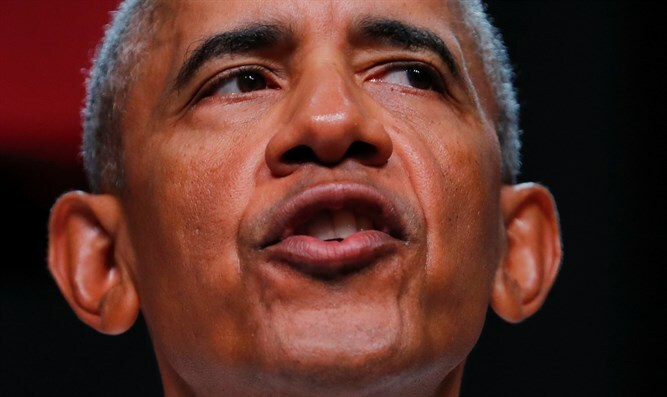 The Obama White House may have exerted more influence over a controversial anti-Israel United Nations resolution than previously believed, according to a new report by The New York Times. In December 2016, following the 2016 presidential election, the Obama administration ordered the US mission to the UN to abstain from a Security Council vote on resolution 2334, which condemned Jewish communities in Judea, Samaria, and eastern Jerusalem as ‘flagrant violations’ of international law with “no legal validity”. The surprise decision not to veto the measure – abandoning the traditional US policy of barring blatantly anti-Israel measures at the Security Council – was initially seen as a parting blow to the Netanyahu government in Israel, but not part of an orchestrated effort by the Obama administration to target Israel. US officials emphasized that the measure had been drafted by Egypt, with no indications the US had been involved in either the preparation or timing of the resolution. But a new report by the NYT Thursday suggests that the Obama administration had in fact resolved to enable the resolution to be passed earlier in 2016, but used its influence to push off the UNSC vote until after the 2016 election. “There is a reason the U.N. vote did not come up before the election in November,” a former US official told NYT. The source, who spoke on condition of anonymity, stressed that the Obama White House was supportive of the resolution, but felt compelled to push off its passage until after the November election. Obama’s deputy national security advisor, Ben Rhodes, went even further, arguing that the Obama administration, and much of the Democratic party’s base, is far less sympathetic towards Israel than the party as a whole, with the “donor class” keeping party officials on an at least ostensibly pro-Israel line.